Acrylic balls are ideal for contact juggling. Machined and highly polished from optical quality material – free of internal distortions, and perfect for isolations. Tough, chip resistant and virtually shatterproof. The clear UV model has a very slight blue tint in daylight (barely visible) and glows a bright blue when activated by Black Light (UV). #3511 2.75 in. 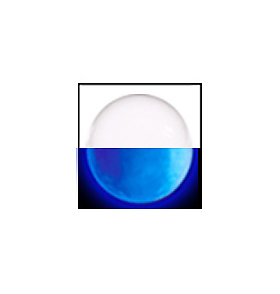 Acrylic Ball - Clear UV $35.00 ea.